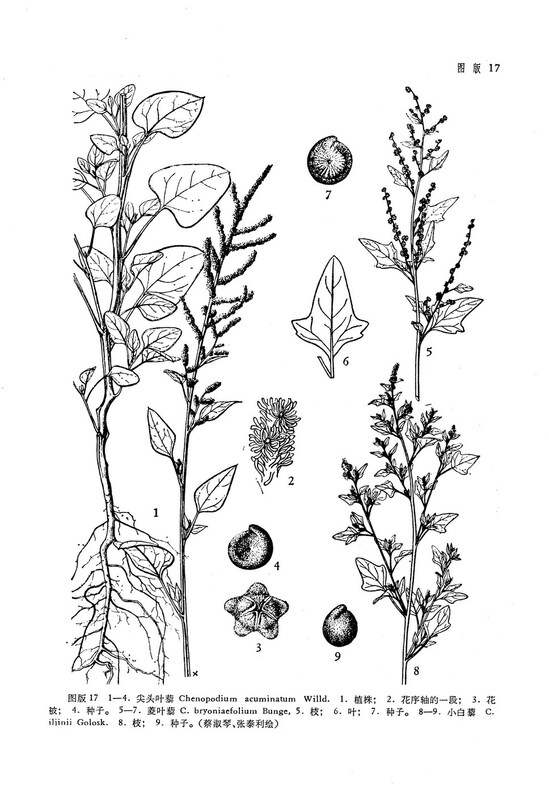 Chenopodium bryoniaefolium Bunge in Del. Sem. Hort. Petrop. 10. 1876 et in Act. Hort. Petrop. 9: 398. 1884; Kom. in Act. Hort. Petrop. 22: 151. 1903; Aellen in Repert. Sp. Nov. 27: 220. 1929; Iljin in Fl. URSS 6: 66. 1936; 东北草本植物志2: 96. 1959. ——C. ficifolium auct non Smith: Bunge in Maxim. Prim. Fl. Amur. 222. 1859.——C. atripliciforme Murr. Mag. Bot. Lap. 1: 360. 1902. ——C. koraiense Nakai in Tok. Bot. Mag. 35: 141. 1921.